Field trips provide students the opportunity to take a break from their normal routine and experience more hands on learning. 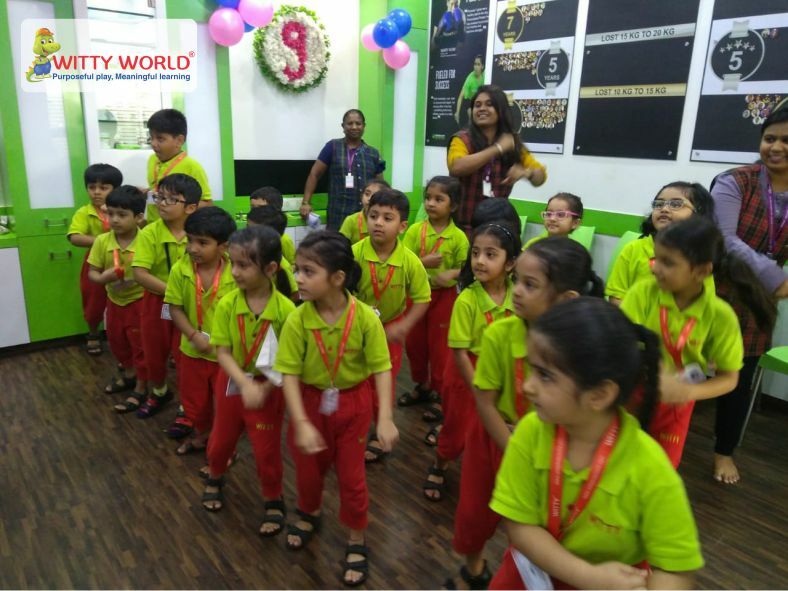 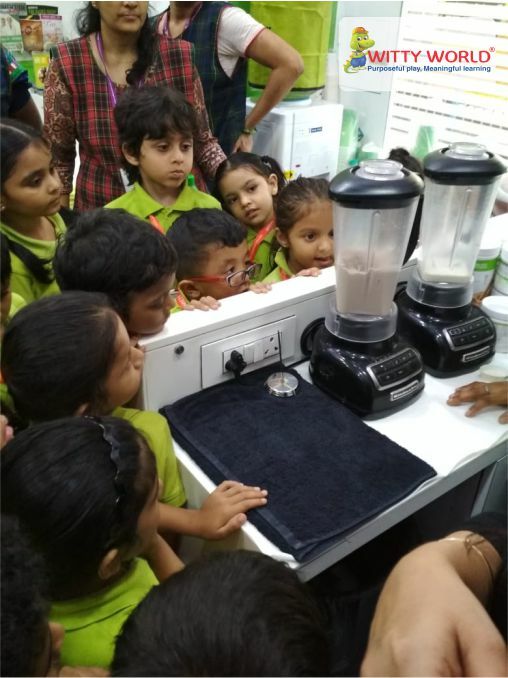 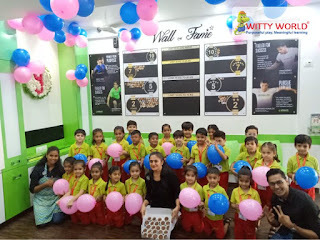 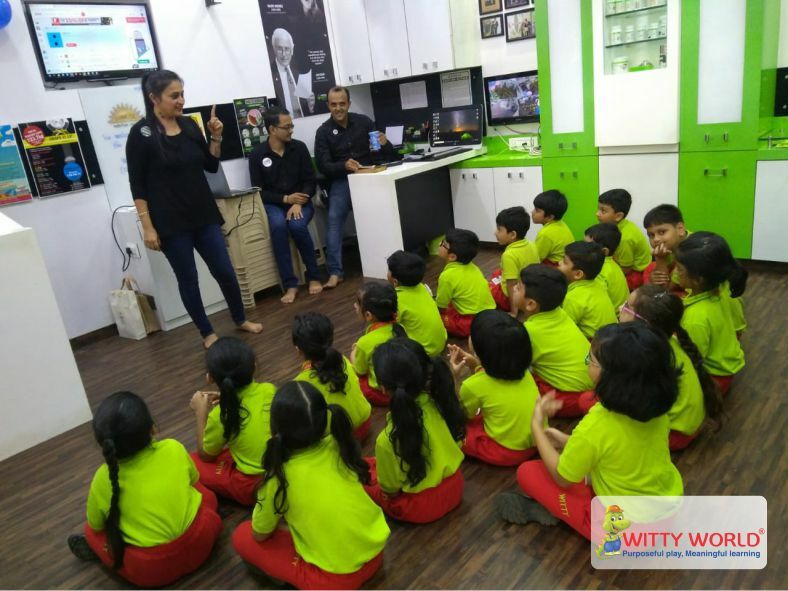 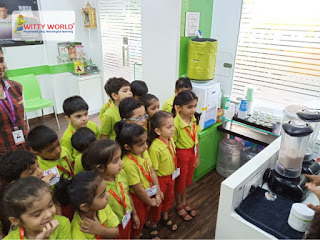 Staying parallel to the concept ‘Fitness and Health’, Witty World School Chikoowadi organized a field trip for the students of Sr.KG on Thursday, 27th September 2018 to Sunrise Nutrition Centre. 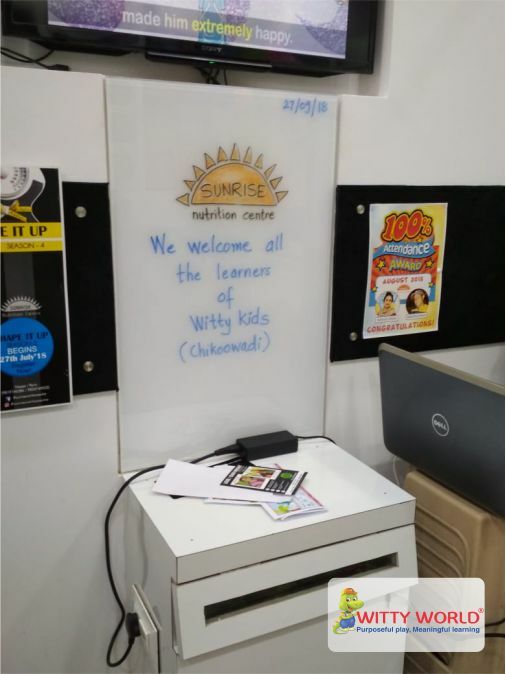 The centre is equipped with the appropriate nutritional chart as well as the nutritional drink booster and experienced dieticians. The staff very enthusiastically explained about healthy eating habits, table etiquettes and also discussed the importance of keeping oneself fit and healthy. The instructor started off with Zumba session and also performed few age appropriate exercises. 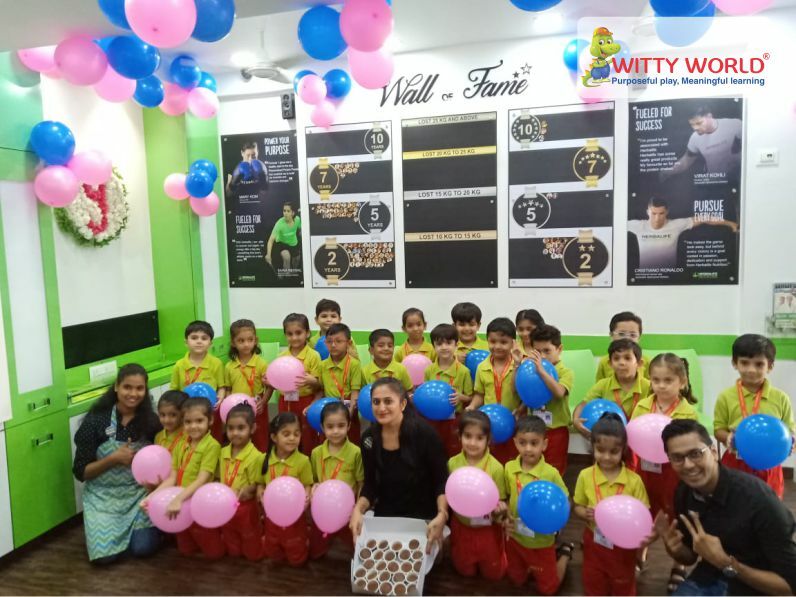 At the time of departure the staff distributed an envelope with Nutritional Activity Worksheet, healthy cupcake and a balloon to each child. 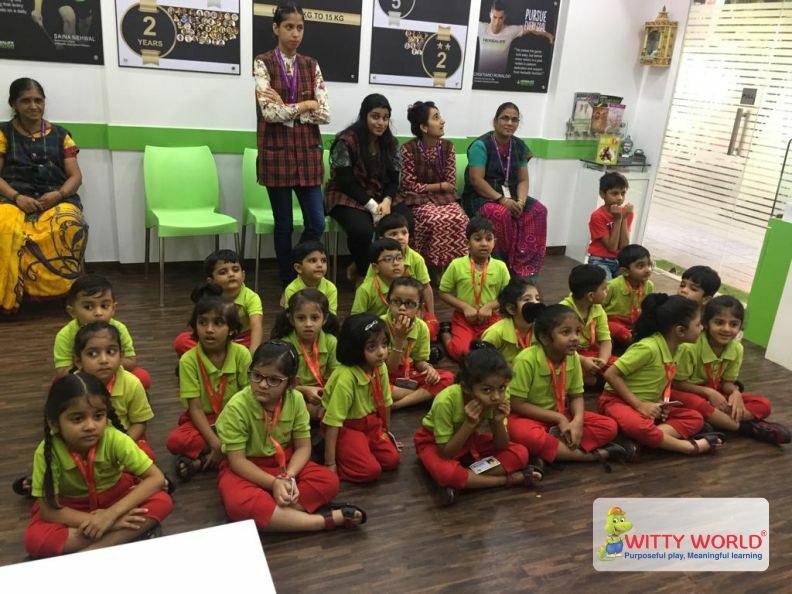 Teachers thanked the staff and the management for their assistance and co-operation.